You might have not observed this but Artificial Intelligence has already become a huge part of our lives. iPhone’s Siri, Window’s Cortana, Google’s Google Now and Amazon’s Alexa are the most popularly known virtual assistants present in this digital space and time. Tay, an artificially intelligent chat-bot, developed by Microsoft’s Technology and Research and Bing teams has an active Twitter account to engage and entertain people through casual conversation. The more you chat with Tay the smarter she gets. And the experience is personalized for you. So you see AI has seamlessly entered our world and we didn’t know about it until now! Today, marketers are keen on maximizing the use of this technology in their digital marketing techniques, and a lot has to do with machine learning. To put it simply, machine learning gives better understanding of customer data and thus, preempts what the customers actually want. It is a branch of AI which focuses on “learning from data”. Thus, digital marketers are able to focus on customer requirements and deliver fruitful results. Wigzo’s machine learning technology, for instance, turns data into predictive insights and suggests the best engagement model for each individual marketing brand. It profiles each user to deliver the right kind of buying experience or service. Wigzo analyzes data to the granular level of each user and processes information to send them the right message at the right time, on the right device with personalized notifications. This ensures that every individual targeted is given an experience that he or she is more likely to remember and convert on. If you run an advertising campaign, then it’s a given that the ad will be shown to some people – who are your targeted audience but might not be interested in your product. With the help of AI, it is possible to reduce the number of impressions wasted in such an advertising approach. AI can predict engagement patterns of the audience by analyzing billions of data points to determine what a user is likely to engage with. If a user has ever exhibited a negative behavior towards the brand in focus despite fitting the audience profile, then the ad will not be displayed to him (or her), thus saving the campaign budget. Your brand’s mobile app can act as a skilled sales professional who guides the customers while they shop. Even today, most apps have an AI-powered interactive interface and a highly graphic content to come up with recommendations for individual customers. Did you know that 46% of organizations suffer from delivering poor customer experiences which, in turn, can cause abandonment? With AI, the app is able to help them find the exact products or services based on a series of questions that pop up on the screen as soon as the customers log in. That’s personalized mobile discovery for you! According to Stephen Upstone, founder, LoopMe, Artificial Intelligence delivers value for money invested. By targeting those users who will most likely engage with the brand, marketers are able to ensure an increase of 300% – which is a rather huge number – on their campaign KPIs. Thanks to the use of AI, wasted impressions are effectively eliminated or reduced, engagement rates get higher and a better return on investment for brands is enabled. AI can help in improving the brand safety and view-ability rates by identifying suspicious online behaviors and blocking them to ensure advertisement placements that guarantee “only” human traffic. Since AI optimizes in real-time, you can ensure safe advertising of brands all around the clock. This improves the user experience considerably. This is because the advertisements are served in such a way that they enhance the content significantly, thereby showing the customers what they actually want to see, need or want to know about. Artificial Intelligence has taken the digital world by storm. This logic-driven process makes sense out of infinite data points available online for a structured customer experience. It helps make judgement that benefits the marketing engagement models. While most of the development is still happening, whatever we have seen till now is impressive. 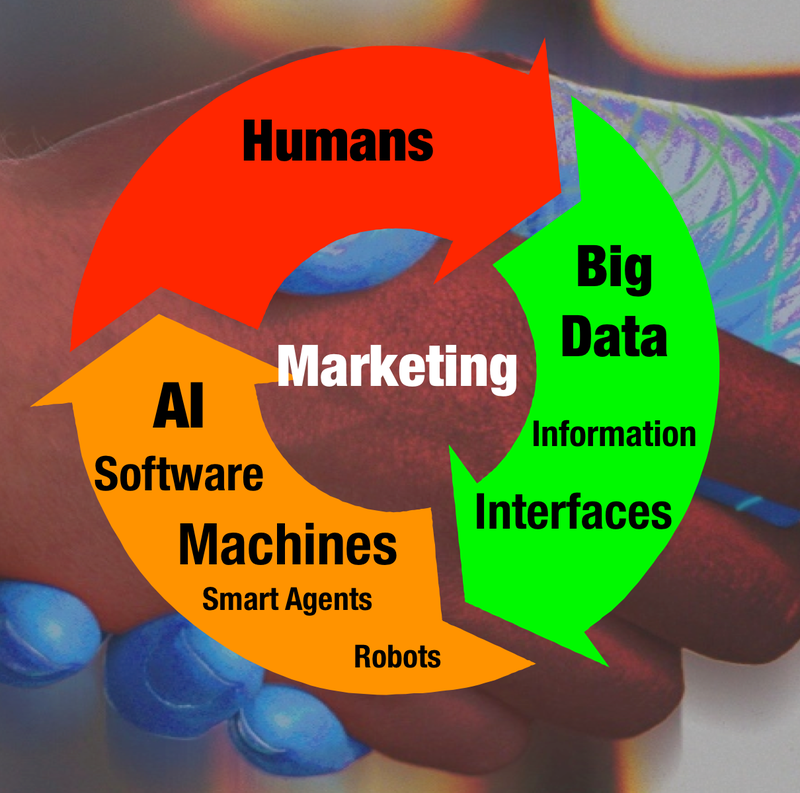 There’s no doubt that AI holds a lot of promise in the field of digital marketing. What are your views on it?